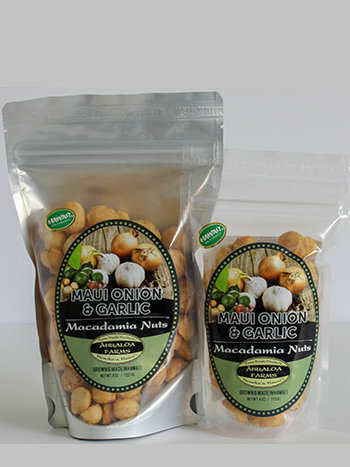 These macadamia nuts are made with real Maui onion and have a very zesty flavor. A great nut for snacking or enjoying with your favorite beverage. Choose from 4oz and 8oz bags.